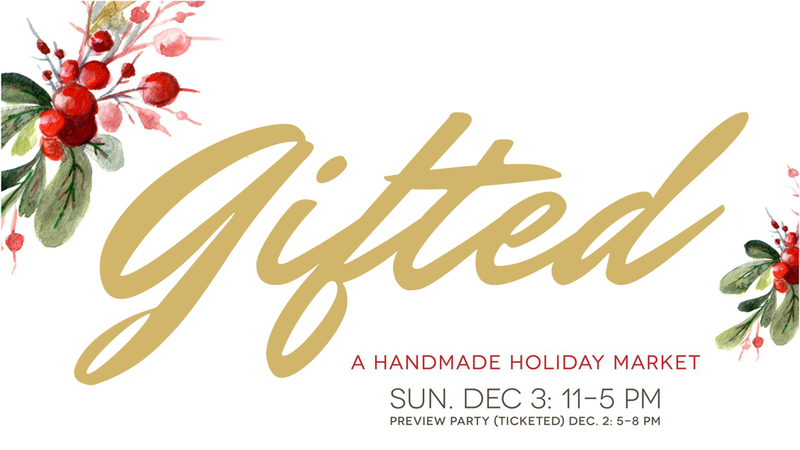 SATURDAY, DEC 2: 5-8 pm (ticketed Preview Party). Ticketholders will receive exclusive early shopping access, champagne, specialty drinks, light bites, and live music. Tickets are $25 for non-members, $15 for PAFA members. SUNDAY DEC 3: 11 am-5 pm (free and open to the public). "Pay as you wish" - $5 suggested donation to PAFA Education Programming. Advanced registration for Gifted is now closed. Tickets will be available at the door for $25.